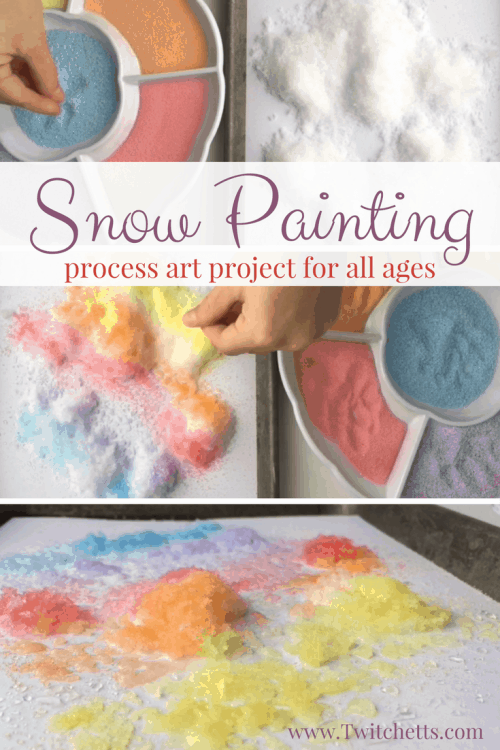 This Colored Salt Snow Art is the perfect addition to our winter art for kids. 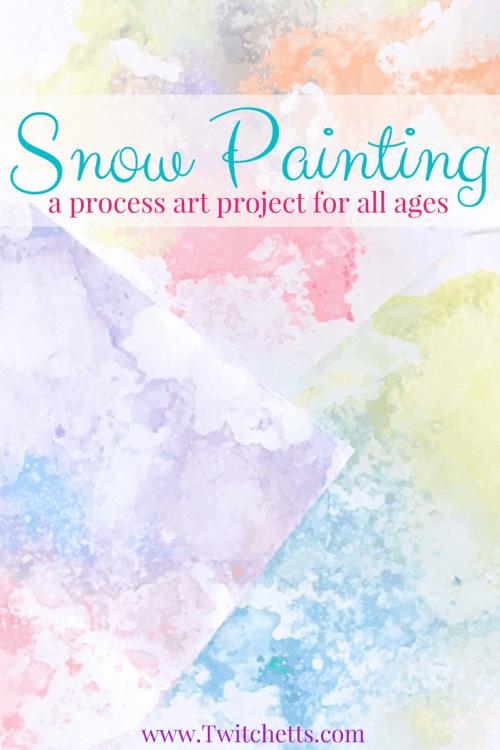 It is a process art project that kids of all ages will enjoy! Grab some snow and let’s start creating! 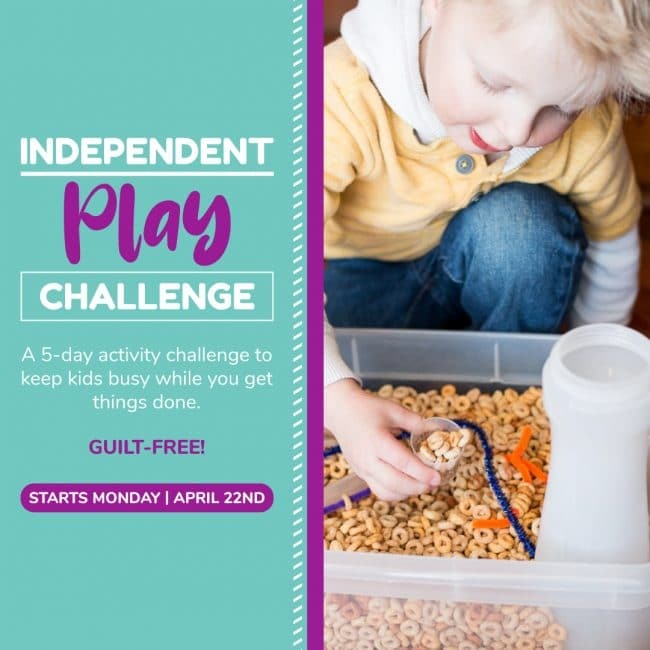 Ever since co-writing The Undeniable Power of Play I have realized just how often play-based learning is in our crafts for kids! We love using our homemade colored salts in sensory bins, but today we decided to do something new! The first snow day we got in Kentucky, this year, was perfect light and fluffy snow. I had been looking forward to trying some of the ideas I read here to play and learn with snow. The only problem was my oldest was sick. The last thing I wanted was to have him running around in the snow. 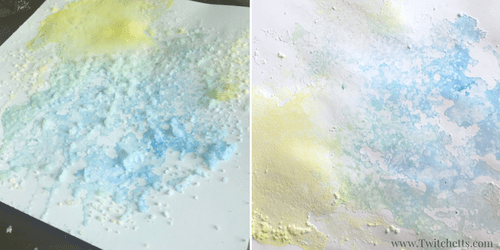 This was a big bummer for him so I had to find a way to bring the snow inside… I started mixing up some homemade colored salts and we started to get creative. 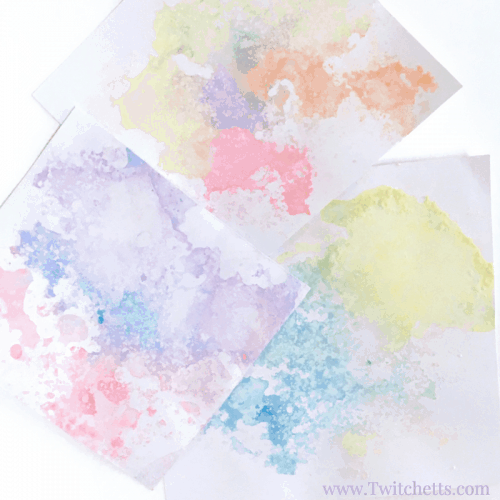 Check out the quick tutorial for making colored salts! Homemade Colored Salt. As many colors as you want! I used table salt and a little bit of kosher salt for these. Any Pan with a Lip. 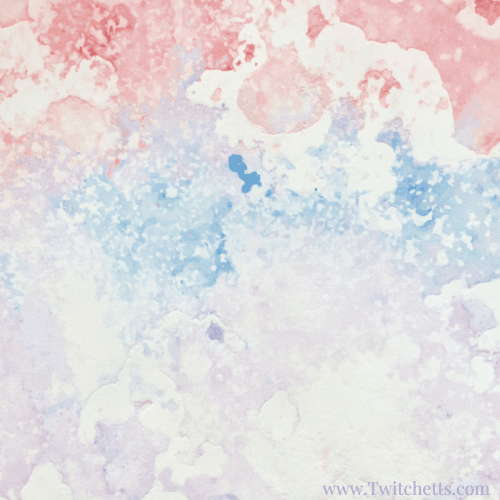 White Cardstock. Cut small enough to fit in your pan. 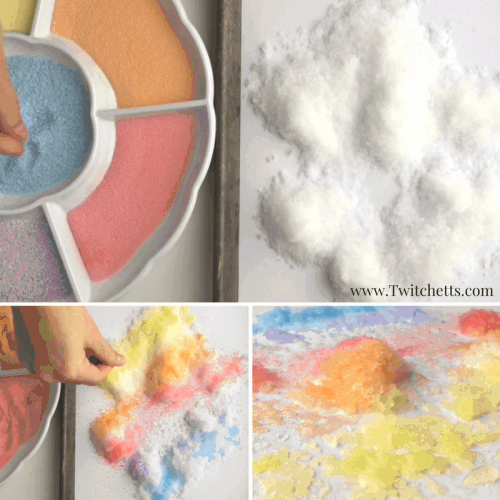 Check out these quick step by step instructions for creating colored salt snow art. Then watch it all in action in the video below. 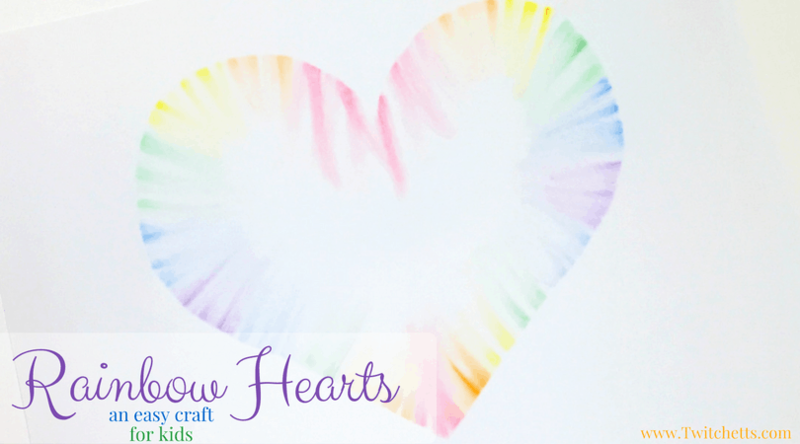 Place a sheet of cardstock in a pan, add snow, then let your little ones sprinkle on their colored salts. Overnight might be best. I placed mine in a sunny window! 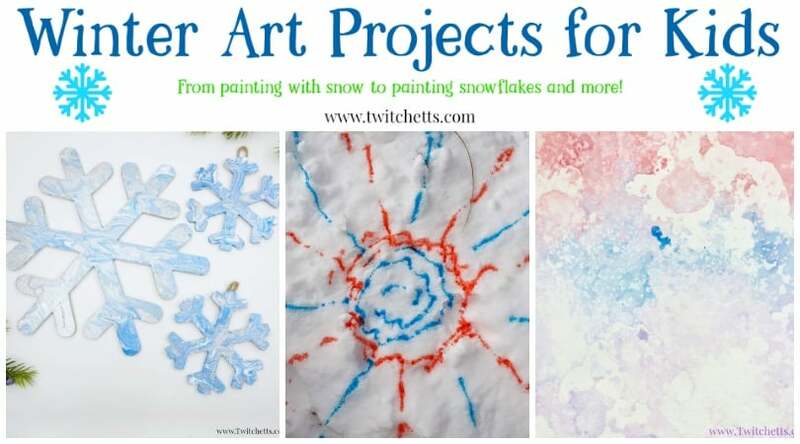 Related Project: Amaze your kids with another snow STEAM project! When they are entirely dry you can shake off, dust off, or brush off the remaining salt. This part was pretty fun too, but a bit messy so make sure to do it over a table or sink. Once the salt is gone, you’ll reveal the beautiful picture a really exciting process! 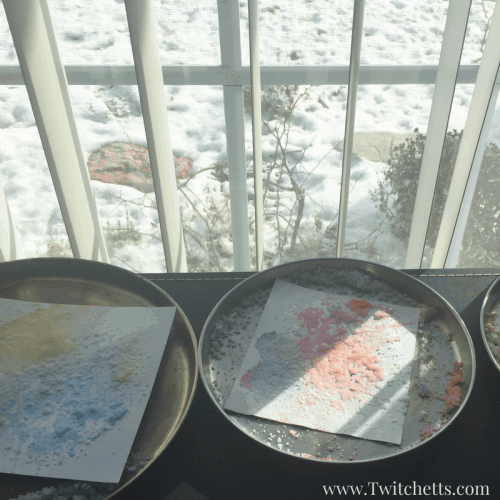 No two colored salt snow art pictures will be alike! They are just beautiful and while creating them you can talk about so many things from why the salt melts the snow to the colors that blend together to make new colors. All 3 of us (ages 3,8, and 32) really enjoyed the process. I am sure you will too! 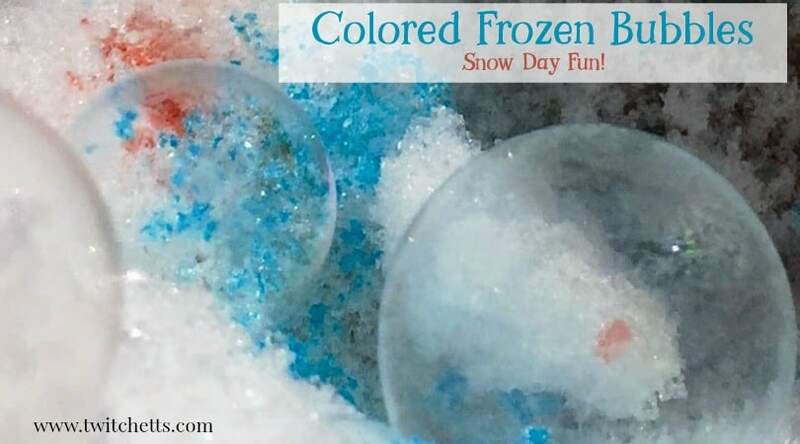 You have to love a winter snow day activity that you can do inside! 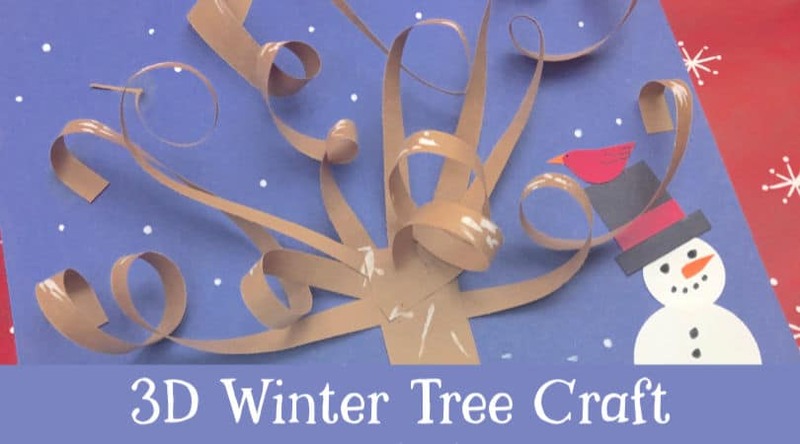 Check out this winter snow day activity in action in our video! 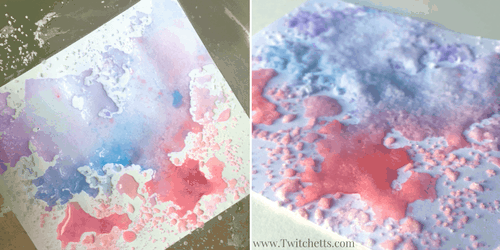 Pin this colored salt snow art to your favorite Pinterest board.